Highly recommended and with 2017 AJAC (Automotive Journalist Association of Canada ) Car of the Year award under its belt, the Volkswagen Alltrack must be considered if the specification meets your needs. 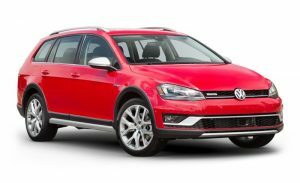 2018 Volkswagen Alltrack: Priced from $35.295. Price as tested $38,215 plus freight, PDI ($1625), and excise tax. The poster summed it up wonderfully when she/he stated, “a mild off-road SUV in a more car-like package, and, bests of all it feels like a Golf,”. When you look at the competition, there are few to compare with and at this price point, none. The Volvo V60 XC, but you had better check with your banker first!